Great trumpet player, Al Porcino was born Angelo Paul Porcino in New York on May 14th, 1925. He has played with many of the great orchestras along the years: Gene Krupa (1946), Tommy Dorsey, Stan Kenton (1947, 1950 (or maybe 1948? ), 1954 to December 1955), Chubby Jackson (1949), Count Basie, Woody Herman (1946, and again from 1949 to 1950, and in 1954 and in 1972), Dizzy Gillespie (1962), Buddy Rich (1968), Thad Jones-Mel Lewis Orchestra (1969), Chuck Mangione (1971) and others. He cofounded a big band with Med Flory from 1957 to 1959. Then, Al joined Terry Gibbs from 1959 to 1962. He has also backed singers such as Frank Sinatra, Vic Damone or Mel Torme. Al Porcino formed his own orchestra in 1971. They appear in the triple live album At Soldiers Club, Fort Ord, California 12th May 1955 and in Live at Palo Alto. Pepper Adams, Sam Aleccia, Laurindo Almeida, Chico Alvarez, Jim Amlotte, John Anderson, Buddy Arnold, Don Bagley, Gabe Baltazar, Norman Baltazar, Michael Bard, Dave Barduhn, Gary Barone, Mike Barrowman, Dee Barton, Tim Bell, Max Bennett, Bob Benrendt, Ernie Bernhart, Eddie Bert, Harry Betts, Allan Beutler, Ralph Blaze, Bud Brisbois, Ray Brown,... up to 221 musicians. Benny Aronov, John Audino, Max Bennett, Bob Burgess, Conte Candoli, Buddy Clark, Alice Coltrane, Bob Enevoldsen, Med Flory, Vern Friley, Terry Gibbs, Bill Holman, Richie Kamuca, Lee Katzman, Stan Levey, Lou Levy, Mel Lewis, Joe Maini, Jack Nimitz, Bill Perkins, Jerome Richardson, Frank Rosolino, Bobby Shew, Bill Smiley, Ray Triscari,... up to 26 musicians. 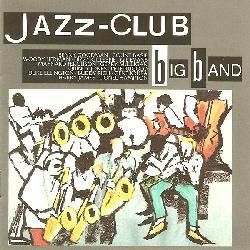 The live album Big band jazz from The Summit was released. John Audino, Louie Bellson, Herb Besson, Jimmy Bond, Red Callender, Conte Candoli, Joel DiBartolo, Harry ´Sweets´ Edison, Gene Estes, Bill Green, Milt Hinton, Frank Huggins, Jennifer Leitham, Lou Levy, Arthur Maebe, Joe Maini, Don Menza, Bob Millikan, Oliver Nelson, Bill Perkins, Tim Ries, Scott Robinson, Joe Roccisano, Bobby Shew, Marvin Stamm,... up to 31 musicians. Pepper Adams, Bill Berry, Eddie Bert, Randy Brecker, Garnett Brown, Bob Burgess, Eddie Daniels, Richard Davis, Jerry Dodgion, Ray Drummond, Jon Faddis, Joe Farrell, Earl Gardner, Ian Hamer, Roland Hanna, Billy Harper, Joe Henderson, Gregory Herbert, Quentin Jackson, Thad Jones, Jimmy Knepper, Mel Lewis, Jimmy McGriff, Tom McIntosh, Earl McIntyre,... up to 41 musicians. BIG BAND TRIBUTE TO WEST COAST JAZZ #? Comments: CD reissue contains 2 bonus tracks featuring June Christy. Comments: Reissue of the album Lonely street plus most of the Dancing party album as bonus tracks. Comments: Reissue of the Big band 1967 album with 8 additional tracks. Albert Aarons, Pepper Adams, Harold Ashby, Clarence Banks, William ´Scotty´ Barnhart, Count Basie, Lin Biviano, Richard Boone, Manny Boyd, Carmen Bradford, Oscar Brashear, Ray Brown, Roy Burrowes, Don Byas, George Caldwell, Paul Campbell, Tee Carson, Ace Carter, Buddy Catlett, Henderson Chambers, Jimmy Chappell, Buck Clayton, John Clayton, Gene Coe, Tony Coe,... up to 177 musicians. Danny Bank, Pete Candoli, Buddy De Franco, Sam Donahue, Allen Eager, Bob Findley, Bud Freeman, Urbie Green, Skeets Herfurt, Harry James, Gene Krupa, Lou Levy, Sam Most, Sammy Nestico, Bob Odneal, Bill Pusey, Buddy Rich, John Scarpulla, Sol Schlinger, Doc Severinsen, Ed Shaughnessy, Charlie Shavers, Bobby Shew, Frank Sinatra, Dave Tough,... up to 26 musicians. John Abercrombie, George Adams, Tex Allen, Benny Bailey, Dave Bargeron, Guy Barker, Jeff Berlin, Charles Blenzig, Hamiet Bluiett, Arthur Blythe, Michael Brecker, Randy Brecker, Hermann Breuer, Dean Brown, Delmar Brown, Hiram Bullock, Herb Bushler, Mino Cinelu, John Clark, Billy Cobham, Johnny Coles, Steve Cooke, Rob Crowder, Joe Daley, Stanton Davis,... up to 100 musicians. Comments: Recorded in February 1960. Comments: Recorded live in January 1961. Comments: Recorded mostly in June 1955, with some track from October 1954. Comments: Compilation with 3 unreleased tracks. Comments: Compilation with tracks recorded from 1945 to 1954. John Adams, Pepper Adams, Tony Aless, Trigger Alpert, Gene Ammons, Tom Anastas, Gary Anderson, Wayne Andre, Chuck Andrus, Danny Bank, Billy Bauer, John Bennett, Sonny Berman, Bill Berry, Eddie Bert, Joe Bishop, James Bolden, Johnny Bothwell, Jean Bowes, Oscar Brashear, Mike Brignola, Gordon Brisker, Alan Broadbent, John Bunch, Bob Burgess,... up to 224 musicians. Comments: Recorded in March 1950. Comments: Recorded in January and May 1970. Comments: Recorded in July 1955. CD reissue contains 4 bonus tracks. Comments: Recorded live in May 1955. Comments: 3CD live recorded obviously in May 1955. Comments: Compilation of recordings made in 1951 and 1952. Comments: Recorded in April 1986. Comments: Recorded live in September 1974 with Mel Torme backed by Al Porcino And His Orchestra. Comments: Recorded live in March 1987 by Al Cohn who is backed by Al Porcino Big Band. Pepper Adams, Tommy Allison, Trigger Alpert, Bob Ascher, Joe Azarello, Kenny Barron, Frank Basile, Pete Beltran, Lin Biviano, Betty Bleigh, David Boyle, John Bunch, John Burr, Joe Calo, Candido Camero, Jack Carmen, Dave Carpenter, Al Cassigrandi, Bob Coassin, Al Cohn, Richie Cole, Paul Congella, Jay Corre, Sonny Criss, Dave Culp,... up to 135 musicians. Comments: Recorded in October and November 1958. Albert Aarons, Francisco Aguabella, Trigger Alpert, Vic Ash, Count Basie, Chuck Berghofer, Billy Byers, Pete Candoli, Henderson Chambers, Sonny Cohn, Don Costa, Irv Cottler, Wallace Davenport, Eddie ´Lockjaw´ Davis, Eric Dixon, Harry ´Sweets´ Edison, Tony Fisher, Charlie Fowlkes, Freddie Green, Al Grey, Sol Gubin, Phil Guilbeau, Neal Hefti, Jim Hughart, Bill Hughes,... up to 44 musicians. Comments: Recorded from 1948 to 1951. Comments: Recorded in July and August 1958 with the backing of Pete Rugolo Orchestra. Comments: Recorded in October and November 1962. Sayyd Abdul Al Khabyyr, Cat Anderson, Ivie Anderson, Harold Ashby, Harold ´Shorty´ Baker, Aaron Bell, Louie Bellson, Bill Berry, Eddie Bert, Barney Bigard, Jimmy Blanton, Wellman Braud, Lawrence Brown, Roy Burrowes, Harry Carney, Sid Catlett, Chuck Connors, Willie Cook, Barry Cooper, Buster Cooper, Bill ´Wild´ Davis, Bobby Durham, Bass Edwards, Duke Ellington, Mercer Ellington,... up to 98 musicians. Michael Abene, Frank Abrahamson, Adolfo Acosta, Pepper Adams, Serafin Aguilar, Paul Armstrong, John Bannister, Danny Barber, John Barclay, John Bello, Nathan Berf, Wayne Bergeron, Bill Berry, Emmett Berry, Tom Bevan, Doug Bickel, Gregg Bissonette, Matt Bissonette, Lin Biviano, Lindsey Blair, Mike Bogart, Ray Brinker, Chris Brown, Tony Buchanan, John Bunch,... up to 200 musicians. Comments: Ella Fitzgerald with the Marty Paich Dek-Tette. CD reissue contains 4 bonus tracks. Comments: Recorded in November 1965. Cannonball Adderley, Louie Bellson, Max Bennett, Ray Brown, Don Byas, Benny Carter, Bob Cranshaw, Art Davis, Harry ´Sweets´ Edison, Roy Eldridge, Stan Getz, Dizzy Gillespie, Coleman Hawkins, Gus Johnson, J J Johnson, Jo Jones, Chuck Lampkin, Lou Levy, Oscar Peterson, Flip Phillips, Max Roach, Lalo Schifrin, Zoot Sims, Sonny Stitt, Clark Terry,... up to 28 musicians. Comments: Peggy Lee backed by Quincy Jones Orchestra. CD reissue contains 2 bonus tracks. Pepper Adams, Patti Austin, Benny Bailey, John Bello, Patti Bown, Oscar Brashear, Ollie E Brown, Buddy Catlett, Vivian Cherry, Pete Christlieb, Jimmy Cleveland, Paul Cohen, Johnny Coles, Art Davis, Eric Dixon, Rolf Ericson, Paul Faulise, Curtis Fuller, Mickey Gravine, Don Grusin, Roger Guerin, Joe Harris, Jerry Hey, James Ingram, Quentin Jackson,... up to 59 musicians. Comments: Recorded live in October 1957 by Howard Rumsey´s Lighthouse All-Stars with as they say, "+ 10 added men". Comments: Soundtrack for the movie starring Susan Hayward. Comments: Recorded in three days in February 1965. Comments: The CD reissue from 1994 contains 7 unreleased bonus tracks. Comments: Compilation including tracks from The man from UNCLE and from More music from the man from UNCLE. Recorded from July 1965 to February 1966. Comments: Recorded in September 1952, January 1953 and March 1953. Comments: Compilation also including tracks by different artists (such as Gene Krupa, Claude Thornhill, Miles Davis, Kai Winding, Elliot Lawrence, Georgie Auld or Chubby Jackson) and featuring Gerry Mulligan. Comments: Recorded in September 1966. CD reissue contains 2 bonus tracks. Comments: Recorded in January 1961. Comments: Anita O´Day backed by Bill Holman Orchestra. Comments: Recorded in December 1959. Comments: Jazz compilation, featuring tracks by Benny Goodman And His Orchestra (featuring Derek Watkins), Woody Herman And His Orchestra (featuring Sonny Igoe), Gene Krupa And His Orchestra (with Hal McCusick), Harry James And His Orchestra, Lionel Hampton And His Orchestra (with Milt Buckner), Count Basie And His Orchestra (with Frank Foster), Buddy Rich And His Orchestra, Johnny Hodges with Billy Strayhorn And The Duke Ellington Orchestra, Dizzy Gillespie And His Orchestra, Maynard Ferguson (with Bud Shank), Terry Gibbs Big Band, Pete Rugolo And His Orchestra (with Milt Bernhart and Larry Bunker), Quincy Jones And His Orchestra, Gerry Mulligan And The Concert Band (with Bob Brookmeyer), Gil Evans And His Orchestra and Oliver Nelson Orchestra (with Snooky Young). Comments: Jazz sampler featuring tracks recorded in 1949 and 1950. Comments: Recorded in two sessions in January 1965 and March 1965. Comments: Recorded live in March and April 1967.